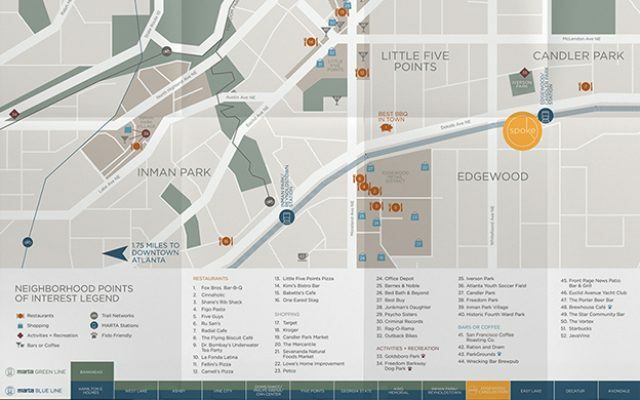 Located footsteps from the East/West MARTA rail station, Columbia Venture’s new market-rate apartment community in the Edgewood neighborhood of Atlanta needed a brand and marketing campaign that would transform its transit-oriented location into a magnetic lifestyle promise. 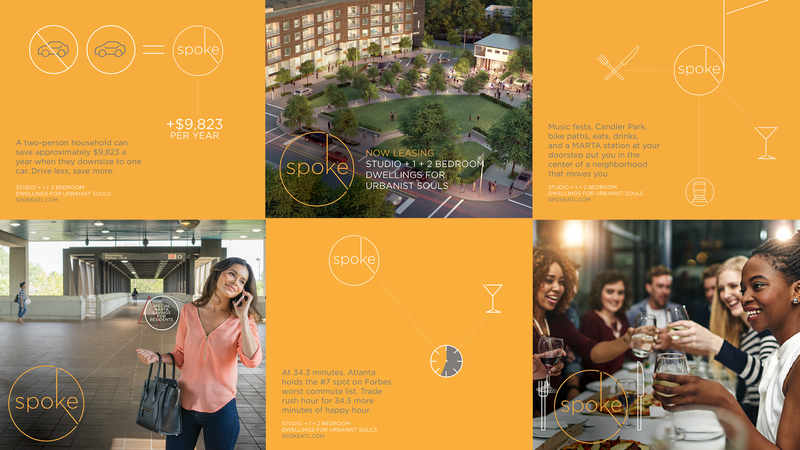 After researching the market, competitors, and the development plan, Prismatic name-storming sessions ensued and “Spoke” was born, celebrating its location on the rail line connecting it to the center and outer edges of Atlanta. 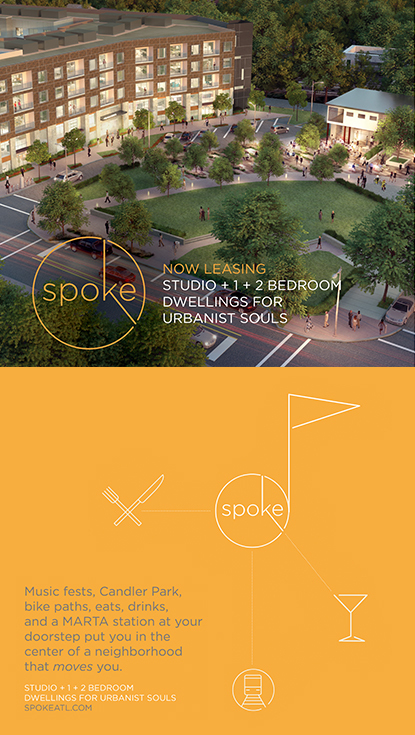 But the question remained, how do we carry forward this new place brand and activate its transit-oriented promise? 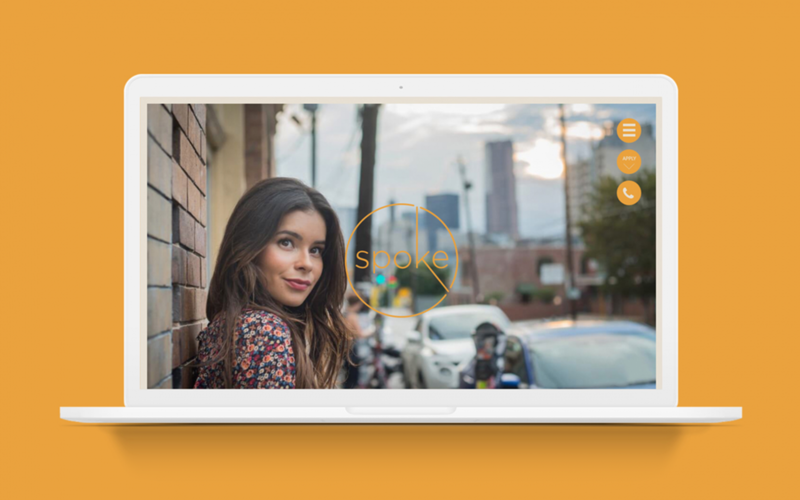 How do we convert benign head nodding into leases and a smarter way of living life in ATL? It began with taking stock. 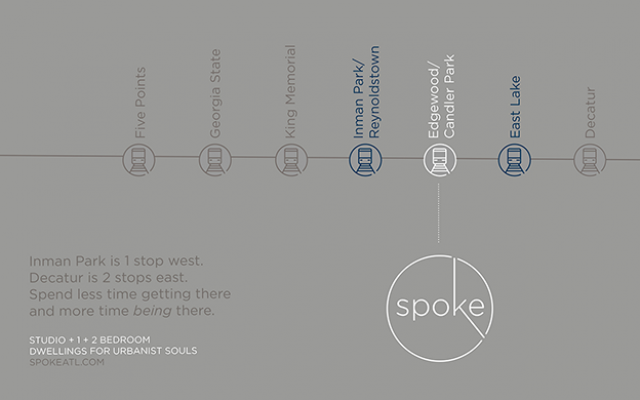 Spoke is located only 168 footsteps from the Edgewood-Candler Park MARTA rail station (yes, we counted). There are 14 James Beard-nominated chefs accessible via MARTA. Atlanta holds the #7 spot on Forbes worst commute list. 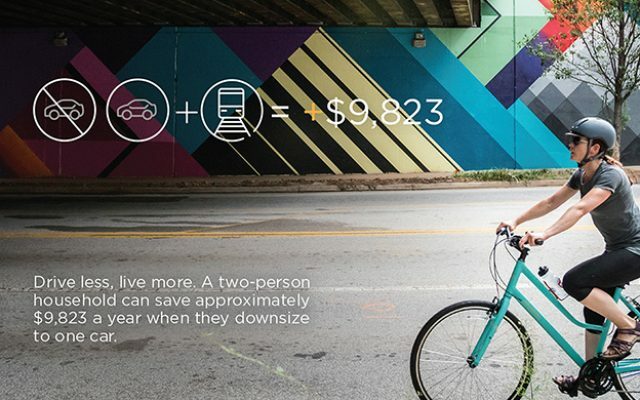 The average commute is 34.3 minutes – if you’re lucky. 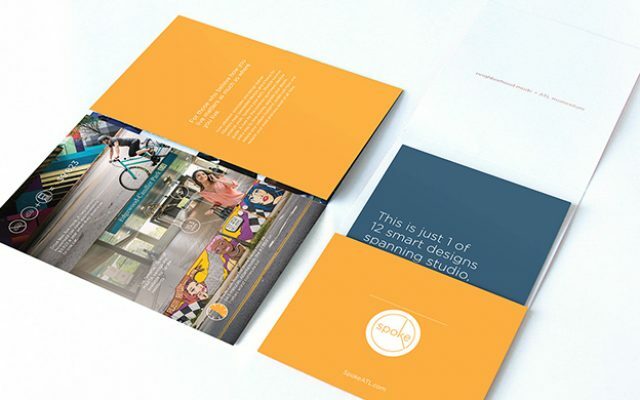 Statistics gave way to compelling data-driven statements told through branded infographics and revealed an apartment lifestyle catering to true urbanist souls – those who align with clever over hipster and who want to spend less time getting there and more time being there. Local photography highlights the unique flavor and culture of the neighborhood. 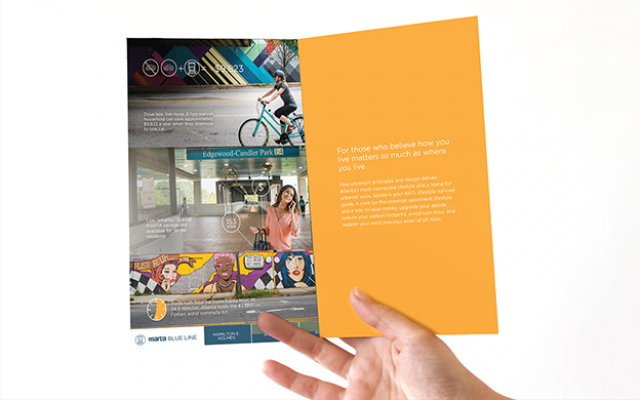 With a rail station steps away, the promise of a connected lifestyle is expressed in graphics that share the MARTA rail line stops.